Social media is all the rage. Inbound and engagement are buzz words and digital and content marketing are seen as essential. Would anyone marketer worth their salt disagree with those sentiments? It goes without saying that every sales and marketing manager needs to look at the best routes to market to drive lead generation. There are so many options. In the old days, choices were limited. If you had the budget, advertising achieved the exposure you needed. Prospects used direct mail to learn about new service offerings. And cold calls met with much less resistance than they do nowadays. Prospects were happy to agree to a meeting in order to ‘see what’s around’. How times have changed. With online marketing to the fore, it’s reasonable to question whether cold calling can still be a viable source of new business opportunities. The answer is ‘it depends’. The reality is that no marketing channel is guaranteed to work in every case. 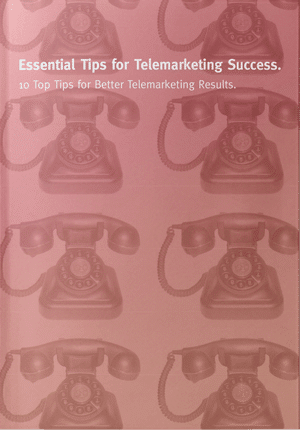 Is telemarketing right for your business? Our Top 5 questions below will help you decide if cold calling is right for your business. 1. Do you know the Job Title of the Person that Purchases your Products or Services? No matter which route to market you use, wastage is a fact of life when it comes to marketing lists. That’s why database cleaning and validation are so important. The more you can sharpen your focus in terms of who buys, the less time will be lost on the phone trying to identify the decision maker. And time equals money. The better the data quality, the quicker you will reach the buyer and the more opportunities you will deliver. 2. Does the Decision Maker have a Need? This isn’t as simple as it sounds. It’s often the case that buyers ‘need’ your types of products or services. The problem is that many propositions are commoditised. There are lots of suppliers of similar offerings. Hence, ideally you’re looking for target prospects that have issues or challenges that can’t be solved by their current suppliers. Also, if you can identify the pain, you’re more likely to prick their interest on the phone. If you can’t, they will probably default to staying where they are. So, get your strategy right and define your proposition in terms of challenges you solve. That’s also compared to your competitors and not simply relating to the services you offer. 3. What’s the Value of Sale? Cold calling isn’t necessarily a cheap option. Clearly, you can engage call centres that make high volumes of calls at low relative cost. You can go offshore and reduce cost per call. However, if the calling campaign is targeted at large organisations where you have sophisticated buyers, they won’t respond to low quality calls. Equally, the higher the value of sale, the more challenging and longer the sales process may be. Therefore, you need quality callers and possibly a large number of calls over a period of time. Thus, it may not end up being a low cost option. In that case, the value of sale is key. You need to assess whether the likely gestation period and time to market warrants the time and cost involved in senior level cold calling. If it does, then a carefully planned and executed cold calling campaign, possibly backed up by other marketing tools, could well be a good option. After all, you don’t want to blow the margin you gain from a new client on the cost of winning the business. 4. Is the Campaign Integrated? It’s tough to reach senior decision makers. Therefore, any method you can use to increase hit rates will support effective cold calling. 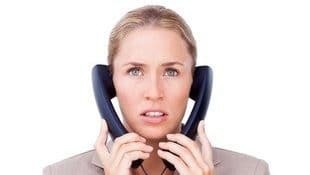 That could be exhibiting at an event, where calls are made to follow up leads from the show, or direct mail or an email campaign where the first calls are to those that make enquiries, click through and open the email. Telemarketing has the capability to amplify the effect of other marketing and the more you can reach prospects wherever they go, the better the chance of telemarketing being an effective part of your lead generation. 5. Are the Callers Competent? This seems like a silly thing to suggest. Of course they need to be competent. However, when I run telemarketing training for clients, I often hear cold callers that lack basic skills to engage with buyers. Your telesales people represent your brand. They are often the first perspective that a buyer gains of your business. Hence, they must have appropriate skills and knowledge to ensure that you get best results.